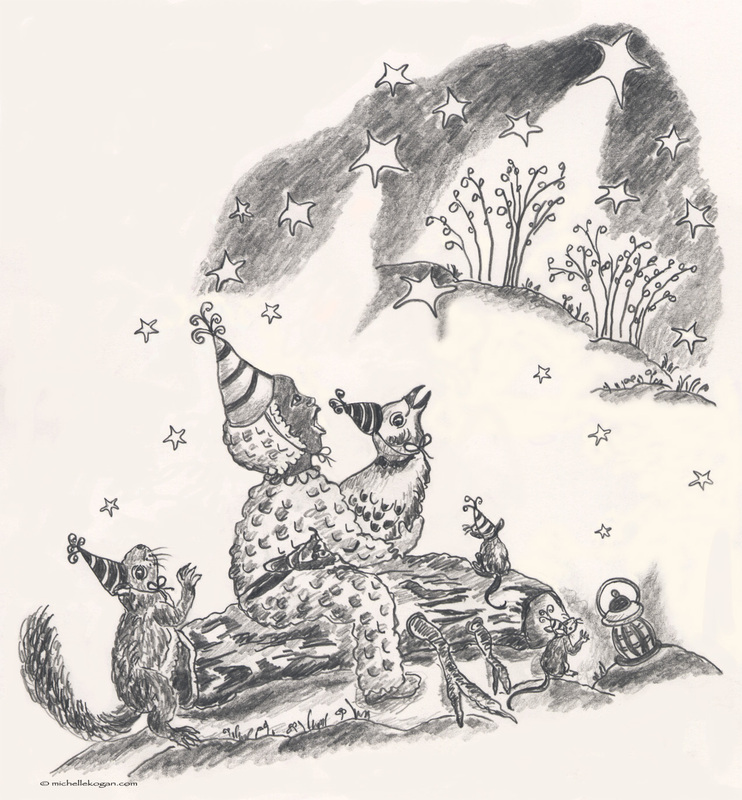 Welcome to My Painting, Illustration, and Writing Blog! Welcoming spring in with a backyard tulip, that’s been opening for many days! Winter snuck up on us here in Chicago . . . And Bear, birdie and I thought up this quick haiku to carry us through our winter months. spread peace, joy and cheer! 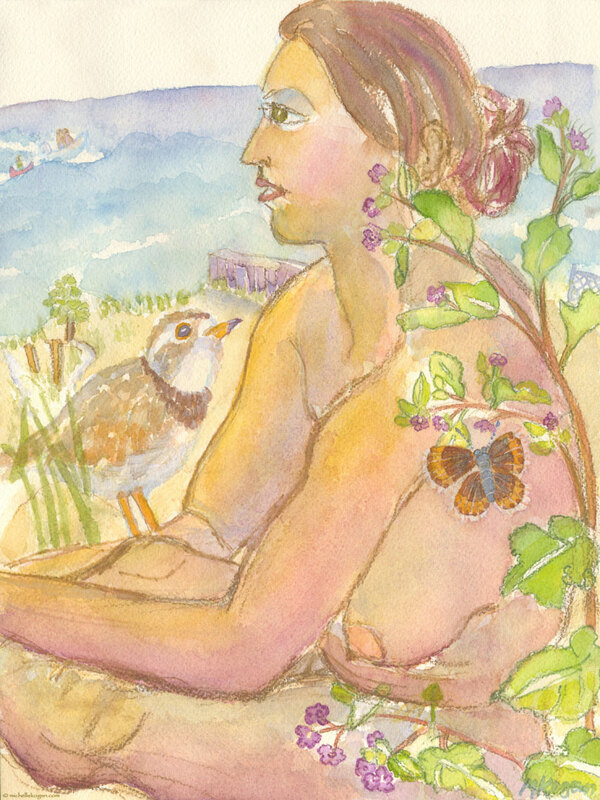 A haiku and new painting Monarchs and Milkweed, welcome us to spring and carry us through summer. The gardens in Chicago are in their prime and producing great varieties of diversity. Just finished this painting in time for Spring… I started it earlier this year while sketching the figure with some of my students. 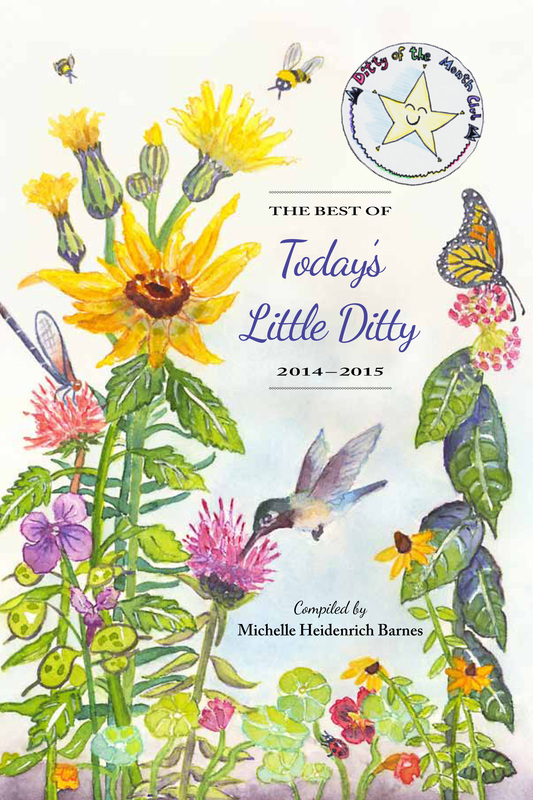 It features two endangered species the Piping Plover and the Lycaeides Melissa Butterfly, both of which are endangered in Illinois. I’m hoping that some warmer temps will continue to visit the Chicago area. We’re into the New Year now, almost the end of January, and here’s one of my work’s in progress. I started it a while back on the outside grounds of the Lincoln Park Conservatory, in Chicago. The pencil work is my preliminary drawing and it’s drawn in with watercolor pencils. At this point most of my sketch is in and I’ll work back and forth between the watercolor paints and the pencils, and I’ll see where it goes… Check out the finished painting in my March 6, 2014 post. 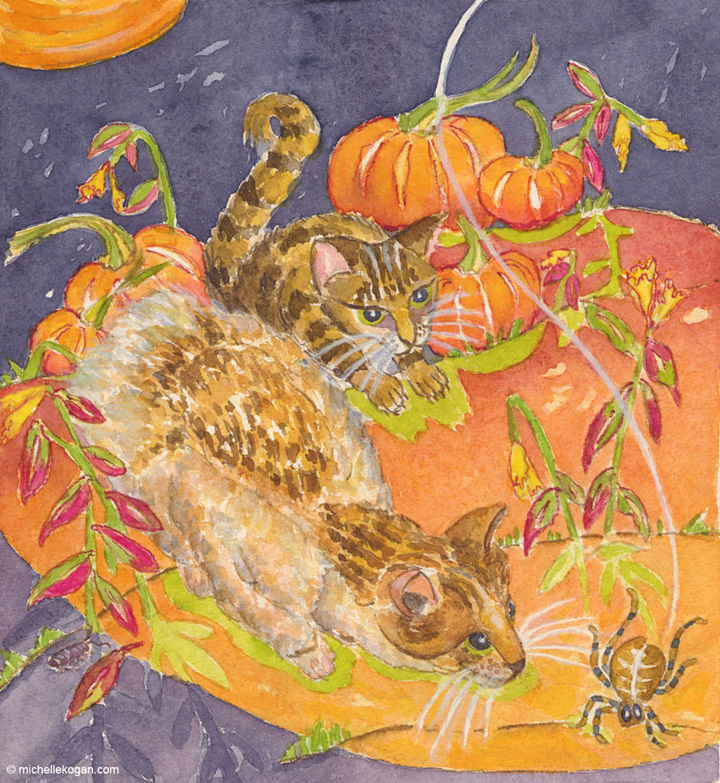 This watercolor illustration is called Cats and Spider, Looking. It’s part of a series of 5 illustrations that I’m presently working on. 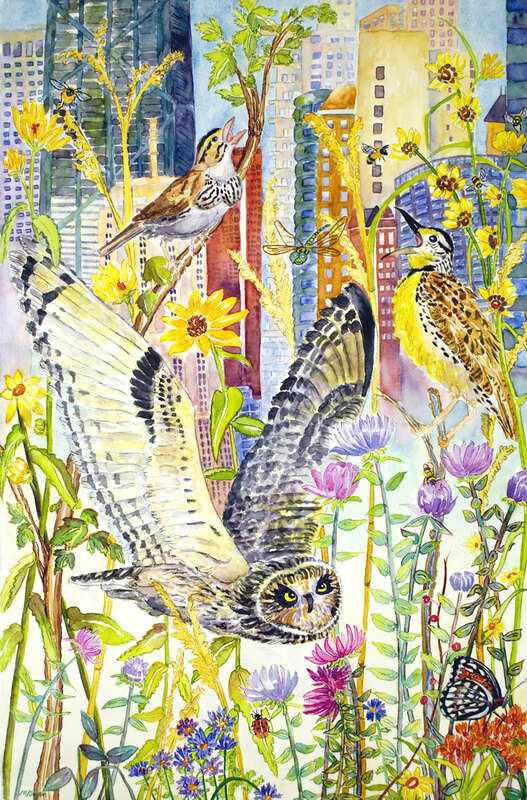 40 x 26 inches, featured in Narratives of Nature Watercolors by Michelle Kogan. The Evanston Art Center is starting off the New Year with a Faculty Exhibition. Below is the painting I’ve included in the exhibit. 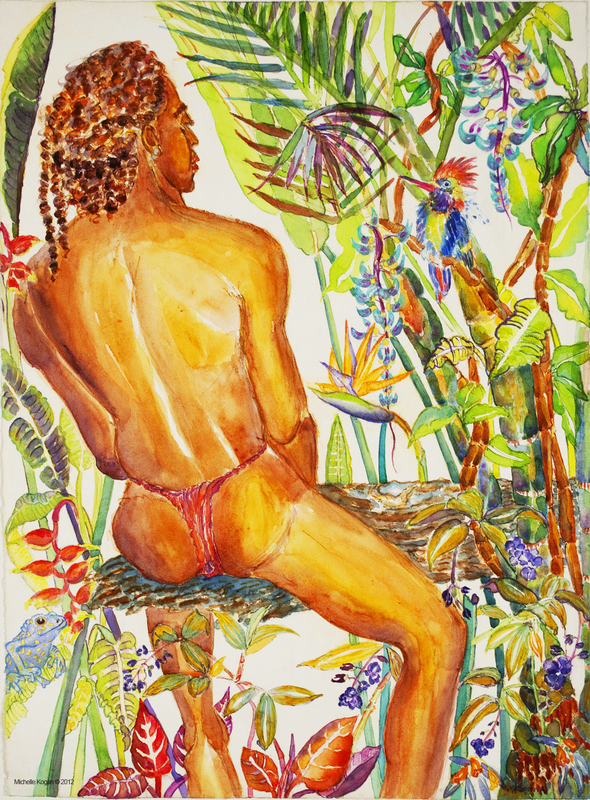 Michelle Kogan, Africa/America Conserve, watercolor and watercolor pencil on paper. 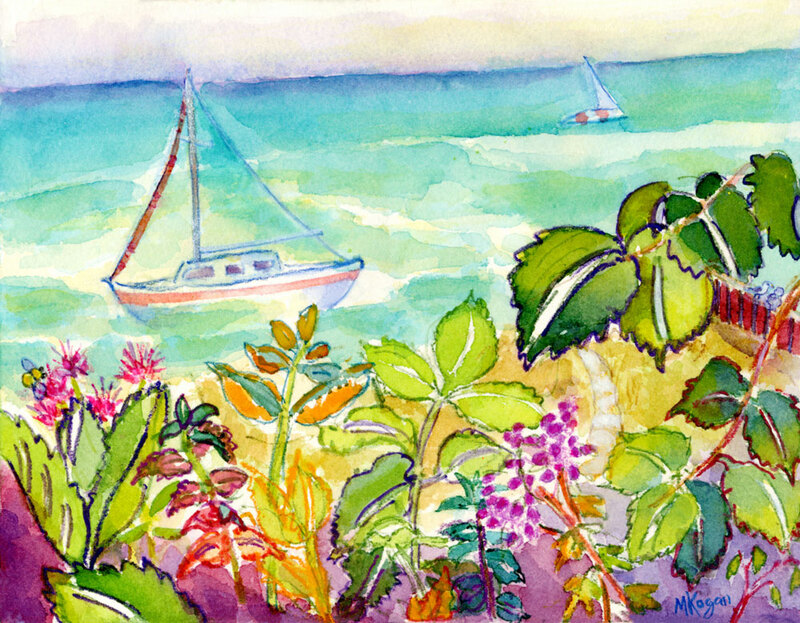 Sailing by Seagulls and Wildflowers on the Dunes. 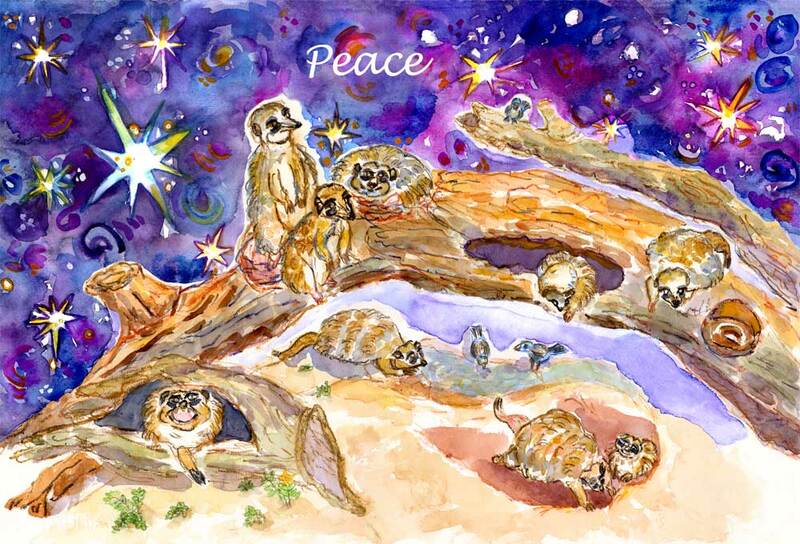 Meerkats in Winter, Peace! 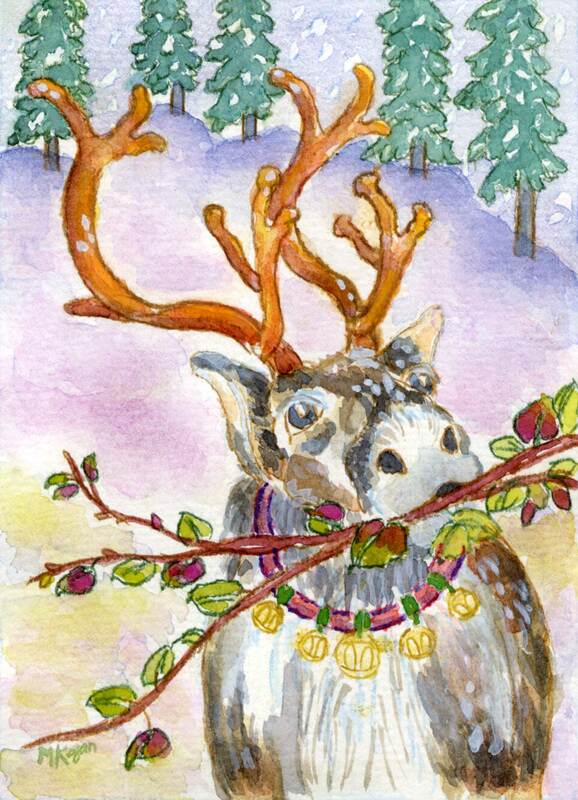 Watercolor, watercolor pencil and Photoshop. I started this illustration at the Lincoln Park Zoo in Chicago, it’s from their African Exhibit. I was with my SCBWI Illustrators group. We all spread out in different parts of the zoo, did some work and then came together again at lunch to look at each others art! It was a great art morning and the meerkats were super models! And so were the beautiful small blue birds…Later in the year, around November I dropped in the starry sky. 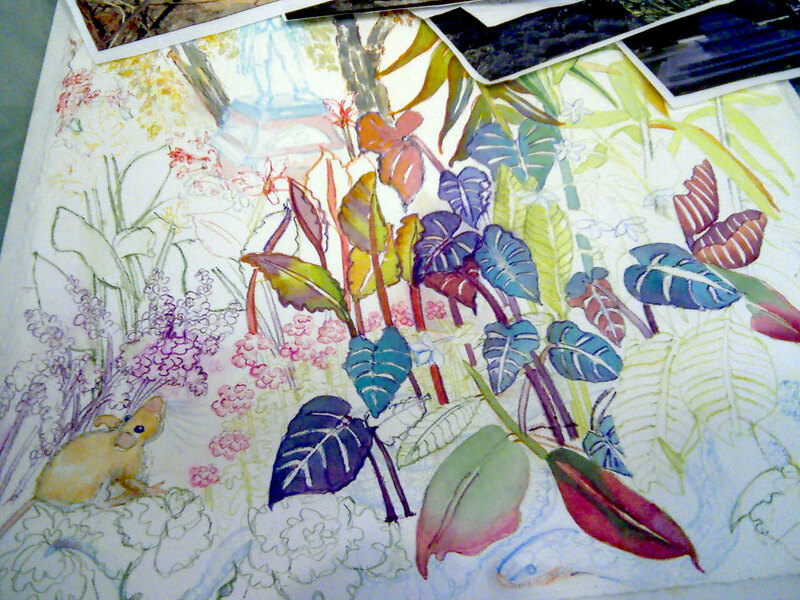 Lovely work, makes me want to do watercolors. Hi Judy, Thanks for taking a look, I have classes starting again in Sept., if you’re in the area. Very nice work ! Nice seeing you in the city of new york. Thanks for taking a look at my site! 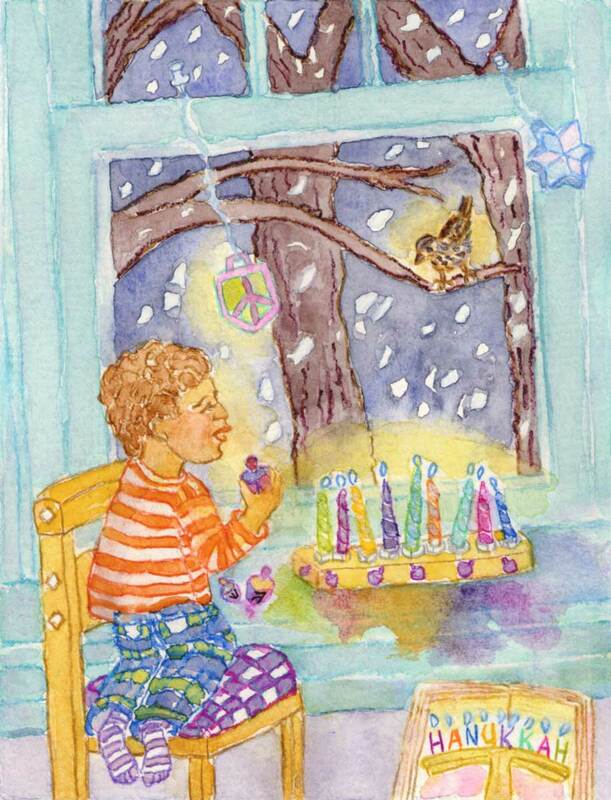 You have such a clear personal style of soft and gentle watercolors, very beautiful. I enjoyed my visit here 🙂 Thank you for visiting my blog and leaving a note! Thanks for taking a look! Hope to see more of your work too! Hi Jacquie, Thanks for stopping by my site and sharing a link to my page on FB! All the Best to you. Your pictures are very sweet and dreamlike. They are very happy and magical. Beautiful works. Hi Shelly thanks for your thoughts and taking a look at my work. All the best to you with your own art creations! 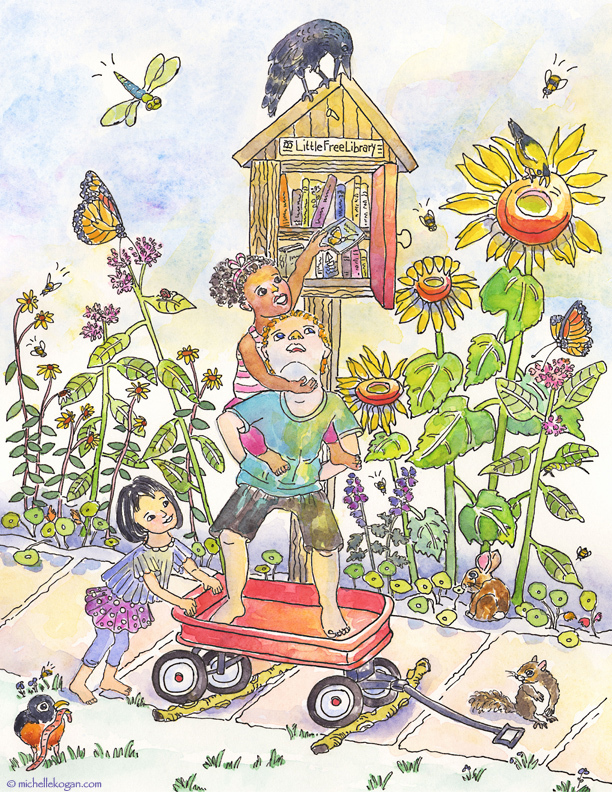 Hey I just joined the SCBWI in Chicago and would love to meet with other local illustrators! Can you let me know where we meet? a true artist, well done paintings. Wow, so much beauty all in one post! Really impressive work, thank you for sharing! Hi Laura, Many thanks, and thanks for following, fellow bird lover! How very lovely. I’m so happy you stopped by friendlyfairytales, leading me to visit all this beauty! And Thanks for stopping by here Brenda, glad your enjoying it! Your poem “Seed For Thought” is beautiful, and a lovely way to close the anthology. I’ve been painting and drawing milkweed plants and butterflies for the last year and a half, in efforts to spread light on monarch butterflies. Thanks for your kindness poem! Thanks Brenda, keep looking, you may find more! Wow your drawings are amazing! Have any ideas on how to get better at drawing. 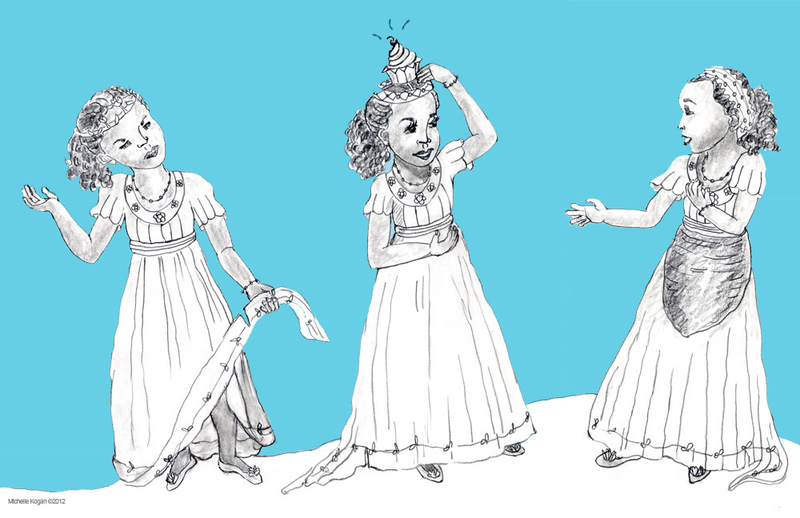 These are great book illustrations. How do you work with scanning them and digitizing them. I’m looking for the basics. Practice, drawing every day, thanks Myra. 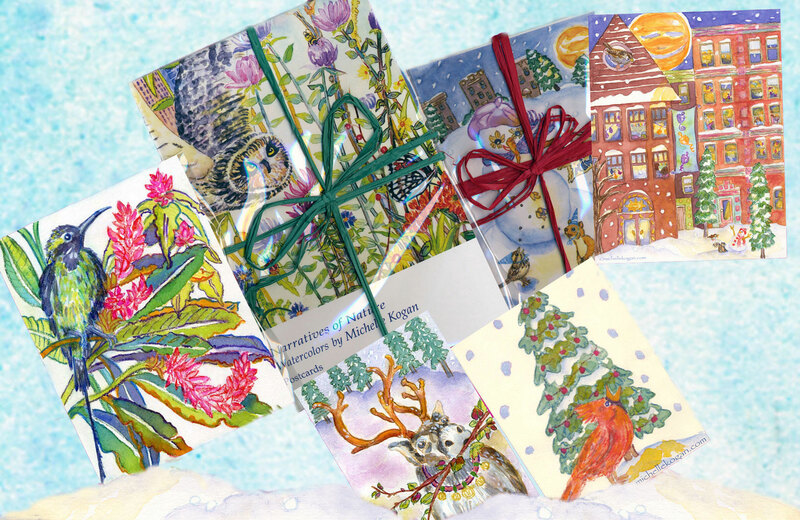 Your illustrations are so wonderful dreamy and peaceful! Thanks Laura, is there a time limit for this, I’m pretty swamped presently. I don’t think there is a time limit and it is optional. 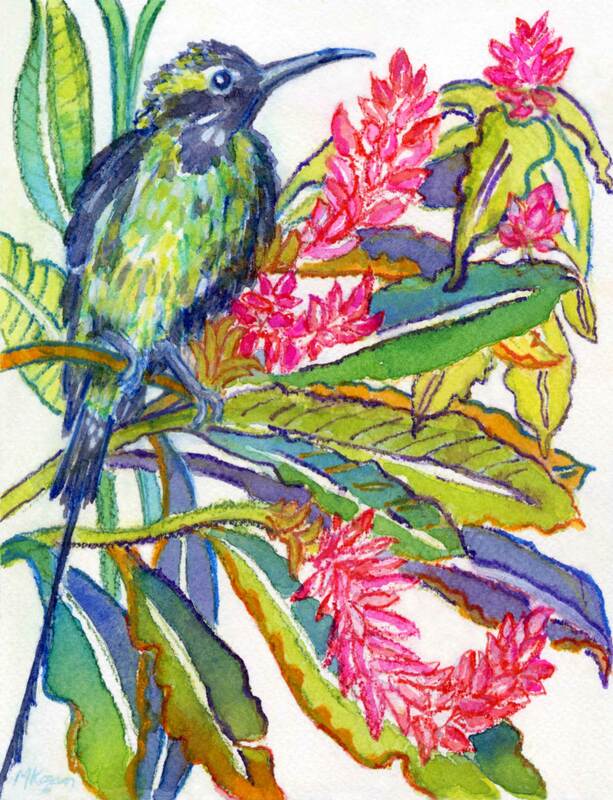 I love your images – the style of drawing, the colours and shapes. So much life and energy! Thanks Ali! I just visited your beautiful blog-loved all your ideas on daydreaming.